Nothing has ever been easy for Harper Lacy. With her father long gone, her mother dying, and her brother barely holding their family together while constantly underestimating her because of her cerebral palsy, she learned to be tough enough to survive. But when she tries to save someone else on the streets of Washington, DC, she's instead somehow sucked into Rhen's cursed world (GoodReads). I am obsessed with A Curse So Dark and Lonely. Plot: A Curse So Dark and Lonely featured two worlds that crossed and introduced two unlikely heroes. The arrogant Prince Rhen made the mistake of crossing a powerful enchantress who tortured him for five years with a curse. Harper was a high school student in D.C. who had a lot happening in her home life. When the two met, there were expectations that the two would fall in love and break the Rhen's curse. I love the idea of Beauty and the Beast retellings but typically the execution lets me down. 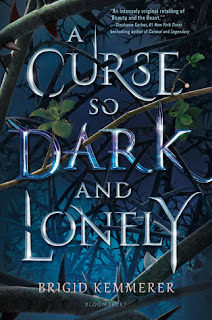 It's a tricky story to do justice, but I think A Curse So Dark and Lonely is the best Beauty and the Beast retelling I've read (Cruel Beauty is a close second). A Curse So Dark and Lonely excelled in the character interactions and how it seamlessly wove a potential war into the overall story. This book was the perfect balance of action and character development. The ending left me satisfied, but now that I know there is a sequel/companion, I have a desperate need. 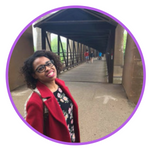 Characters: As a character-driven reader, characters are extremely important to me, and I fell in love with both Rhen and Harper almost immediately. Harper had cerebral palsy which gave her a limp. Because of that, her brother saw her as someone he must protect and hideaway. Rhen, on the other hand, was the handsome crown prince who suffered from the damage of his curse and was jaded against everyone. Their chemistry was undeniable and my heart swelled when the two of them shared their vulnerabilities. Besides Rhen and Harper, the side characters were extraordinary as well and wormed their way into my heart. Worldbuilding: I was nervous how two worlds colliding would work for me but luckily I had nothing to worry about. Rhen's Emberfall was my favorite setting but I loved how the two worked to understand each other's world and how Harper came to see Emberfall as a home. 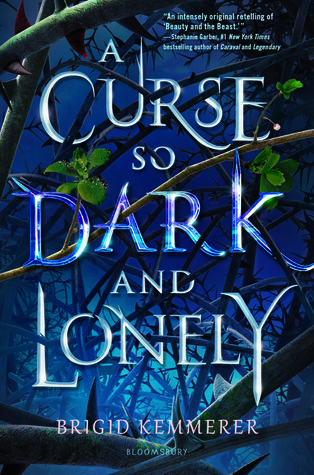 Short N Sweet: A Curse So Dark and Lonely is the fantasy romance I've been waiting for and will be an instant favorite for those who need a retelling they can lose themselves in.